The FCC (Federal Communications Commission) exists to regulate American communications via radio, television, satellite, cable, and wire. As technology evolves, so does this agency in order to better provide communication services and ensure consumers are protected. It is for this reason that the FCC created the Telephone Consumer Protection Act of 1991 (TCPA). 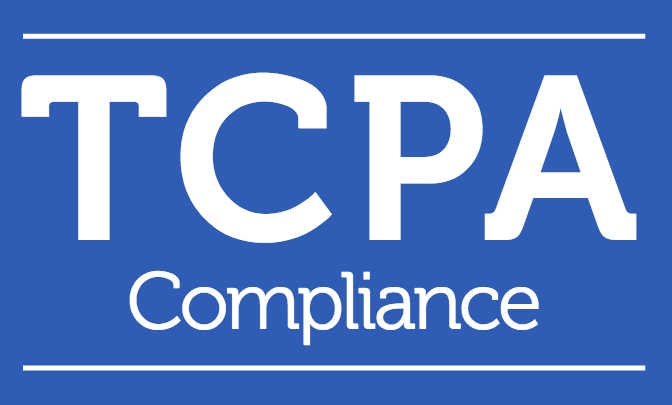 The purpose of the TCPA is to restrict telemarketing and unwanted telephone solicitation. It monitors and restricts the use of auto-dialers, artificial voice messages, fax machine messages, and SMS text messages. Essentially, there are eight main requirements that everyone must follow when utilizing any of the aforementioned tools to communicate with others. Unless there is express consent from the person or entity to whom solicitations will be sent, these rules are locally enforced on a federal level, and there are no exceptions. 1. Solicitors must not call residences before 8 AM or after 9 PM during said residences’ local times. 2. Each company must maintain a “do-not-call” list of consumers who ask not to be called by the company. These DNC requests must be honored for a minimum of 5 years. 3. Solicitors must honor the do-not-call requests of consumers who belong on the National Do Not Call Registry. 4. Solicitors must provide their name, the name of the person or entity on whose behalf the call is being made, and a telephone number or address at which that person or entity may be contacted. 5. It is prohibited to solicit to residences using an artificial voice or voice recording. 6. It is prohibited to make any call using automated telephone equipment or an artificial or prerecorded voice to an emergency line (911), a hospital emergency number, a physician’s office, a hospital or healthcare facility or elderly room, a cellular telephone, or any service for which the recipient is charged for the call. 7. It is prohibited to engage two or more lines of a multi-line business via auto-dialed calls. 8. It is prohibited to send any unsolicited faxes containing advertising messages. In the event of a violation of the TCPA, a subscriber may sue for up to $500 for each violation or recover actual monetary loss(whichever is greater), seek an injunction, or both. In the event of a willful violation of the TCPA, a subscriber may sue for up to three times the damages; in other words, $1,500 for each violation. It is therefore of paramount importance that any person or entity who wishes to call, text, or fax a recipient with advertising or marketing messages be aware of these specific restrictions and abide by them. EquiiText has developed several “best practices” methods that are available to every business SMS text messaging user to comply with these regulations. Sleep timers in the settings tab prevent businesses from sending campaigns before or after the awake hours approved by the TCPA. The EquiiText landline scrubber also prevents any text message or voice broadcast to be sent to any residential phone number. There is a DNC scrub available to all users to ensure no texts could be sent to a person or entity who belongs on the National Do Not Call Registry, and every EquiiText user similarly has an opt-out auto-responder that must always remain activated. We also train new users how to introduce themselves in a first message to all contacts with plenty of artificially intelligent responders to answer identity questions, location questions, and contact queries. We have numerous features and policies that prevent users from using EquiiText in such a way that users can use business texting within the rules and guidelines of the FCC and TCPA. For more information on these agencies or about EquiiText best practices, please call, text, or email us today!